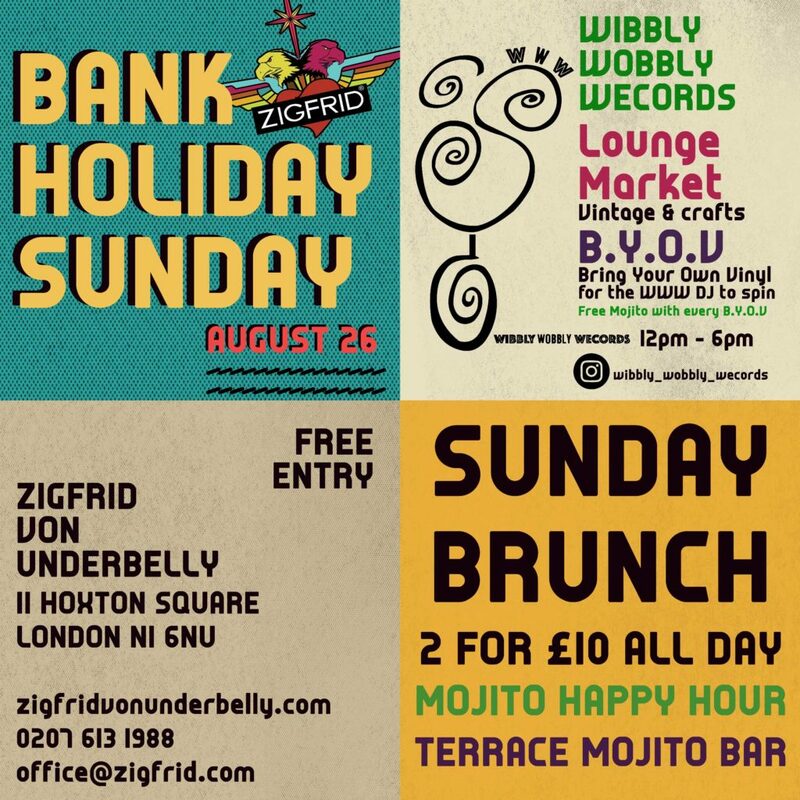 Wibbly Wobbly Wecords is launching its BUMBLE SUNDAY Lounge Market on this Summer Bank Holiday. B.Y.O.V – Bring Your Own Vinyl means that the Wibbly Wobbly Wecords DJ will spin your vinyl(s) from the Ziggy sound system and you get a Mojito on the house. If you have vinyls at home that haven’t received the attention they deserve, then this is the time to take them for an outing! Or come and show off your impressive collection! Lounge Market by creative makers selling vintage, jewellery, collectables and crafts – vegan guitar straps, masquerade masks and more!